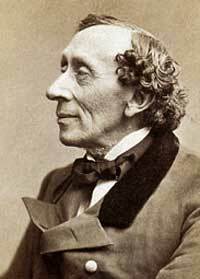 It is going to be the year of Hans Christian Andersen around the world. BBC has an article on a three day star-studded celebration of Andersen's life this weekend. The Toledo Blade has an very informative piece on the 200th anniversary of Andersen's birth including good information about his life and his place in the literary canon. "I think that Andersen's stories have come into such common usage - The Ugly Duckling and The Little Mermaid images, in particular - that we hardly remember they were his own inventions," says Jane Yolen, a critically acclaimed children's author of more than 200 books, including poetry, folk tales, and novels. Update: Semicolon has lots of great HCA links in the April 2 post.